NEW ORLEANS – You might find it hard to believe, but the NJCAA Division III Cross Country season is nearly one month old. The first countable day in the division was back on August 22 and a lot happened between then and now. 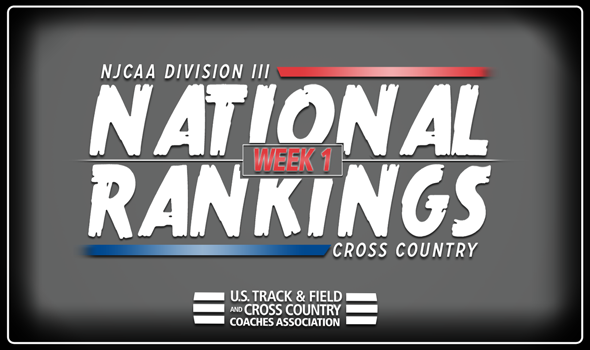 Needless to say, it’s the perfect time to debut the 2018 NJCAA Division III Men’s and Women’s Cross Country National Team Rankings, which will be released weekly by the U.S. Track & Field and Cross Country Coaches Association (USTFCCCA). Harper (Ill.), the defending national champion, sits atop the rankings in the No. 1 spot. The Hawks had three meets thus far and looked strong in each one. Harper (Ill.) placed seventh overall – but was the first junior college – at the Aurora Invitational and then placed second out of five programs at the Lake Forest College Invitational this past weekend. Sandhills (N.C.), which finished third at last year’s national meet, comes in at No. 2 in Week 1. The Flyers have only raced once this season at the Catawba Invitational back on September 1 and were set to tangle with a strong field at the Adidas XC Challenge this past weekend before Hurricane Florence had other ideas. A trio of programs shot up the rankings to round out the top-5: Hudson Valley (N.Y.) comes in at No. 3 after finishing 24th last year at nationals; Onondaga (N.Y.) is No. 4 after finishing seventh last year; Lorain County (Ohio) comes in at No. 5 after a 23rd-place showing in 2017. Defending national champion Harper (Ill.) is the No. 1 team to begin the season. The Hawks took part in three meets this season thus far and stood out at the Aurora Invitational, where they were the top-finishing JUCO as Rachael Temple led the way in 21st place individually. Big things are also expected out of Hudson Valley (N.Y.) and Mercer County (N.J.). Both programs did not make the national meet last year, but the Vikings and the Vikings (Yes, have the same nickname), are ranked second and third, respectively, to begin the 2018 season. FIT (N.Y.) and Camden County (N.J.) round out the top-5 at fourth and fifth.